The UMF Medical 5900 Pediatric Examination Table with Digital Scale features unparalleled strength, quality and comfort. The all steel construction ensures that the pediatric exam table will stand up to years of hard and constant use. 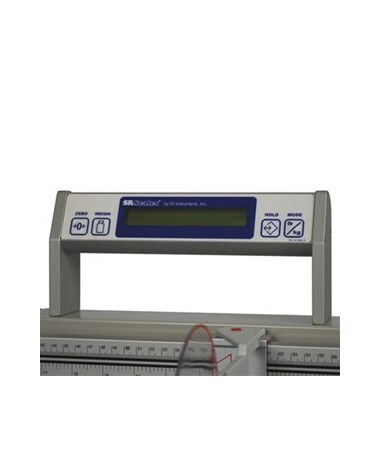 The state of the art digital load cell technology accurately provides patient measurements. The 5900 enhances infant comfort with the UMF Medical Ultra Comfort Seamless top. The comfort top is vacuum formed and is easy to clean which prevents cross contamination between patients. The Pediatric Examination Table includes two all metal drawers which smoothly operate on heavy duty roller bearing drawer glides. A large storage area can be accessed through two all metal cabinet doors which are mounted on commercial grade, adjustable, spring assisted door hinges. Added benefits of the 5900 is the padded front rail for infant safety, an 18” paper roll holder, and the SECA® stainless steel measuring rule with clear paddles. The digital scale operates by 6 D-cell batteries (not included) and conveniently has an auto shut off feature. The scale weighs in the patients' lbs./oz. and kg. The UMF Pediatrician Exam Table is the perfect fit for any pediatric office. Available in 8 upholstery and accent colors. View the available color chart and note your choice in the Special Instructions field during checkout. UMF Medical as well offers a Fire Retardant Foam (CAL133) option for your Examination Table. It is indented to provide extra safety to the product by helping stop or slow the spread of the fire in the case of an accident. 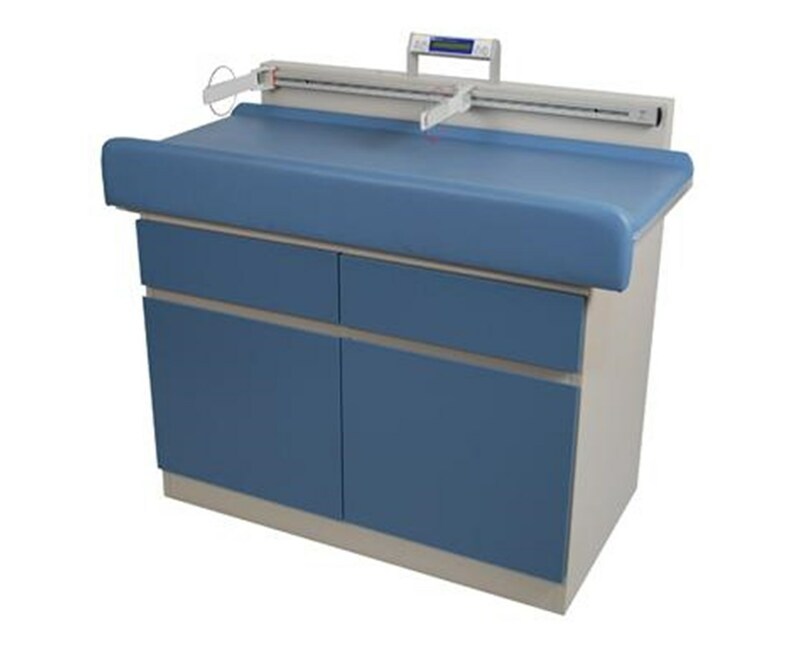 The UMF Medical 5900 Pediatric Exam Table has a 50 lb. 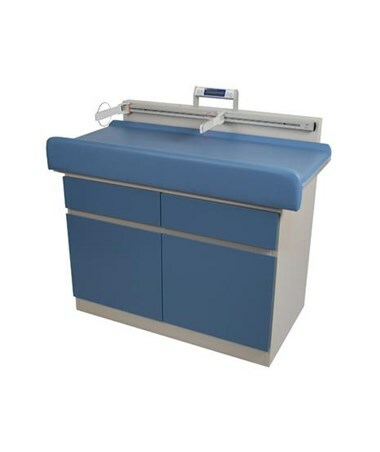 (22.7kg) patient weight capacity and comes with a 3 year manufacturer’s limited warranty. Two heavy duty, all metal drawers. Heavy duty roller bearing drawer glides. All metal cabinet doors with commercial grade, adjustable spring assisted hinges. Padded front rail for infant safety. 18” (45.7cm) paper roll holder. Digital scale operated by 6 D-cell batteries (not included), with auto shut-off feature. SECA® stainless steel measuring rule with paddles. 50 pound (22.7kg) patient weight capacity. Weighs in both lbs./oz. and kg.